Hailing from the Iberian Peninsula’s maritime coast, Albariño is the flagship wine of Galicia and the frequent guest star in Portugal’s fizzy and chuggable Vinho Verde. The heart of Spain’s Albariño production is found in Rías Biaxas, where the number of wineries has grown from 33 at it’s DO inception in 1988, to hundreds today. 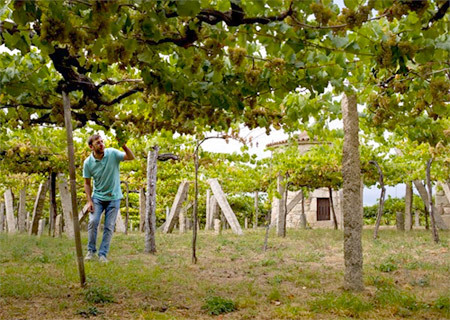 Three decades before, Ernesto Zarate of Bodegas Zarate brought notoriety to the region in his initiation of the first Cambados’ Albariño Festival. Ernesto’s estate was founded in 1707, making Bodegas Zarate the oldest documented Albariño vineyard in the area Rías Biaxas, with vines planted pre-phylloxera in 1850. Today, Zarate remains a mainstay in the region, and seventh generation Eulogio Pomares’ commitment to the integrity of Rías Baixas’ terroir, along with natural viticulture and sustainable winemaking, shines through in his wines. 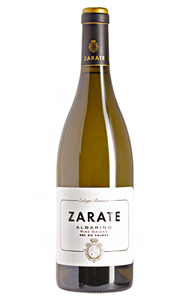 Sitting on it’s lees for 6 months and seeing minimal malolactic fermentation, the 2017 Albariño is fresh, fruity and balanced, with persisting minerality that upholds the integrity of Bodega Zarate’s mineral-rich, yellow granite soil. Drink it like a Rías Baixas local - with as much seafood and sunshine you can come by this winter.